Chocolate instant pudding is the secret to these moist cookies. 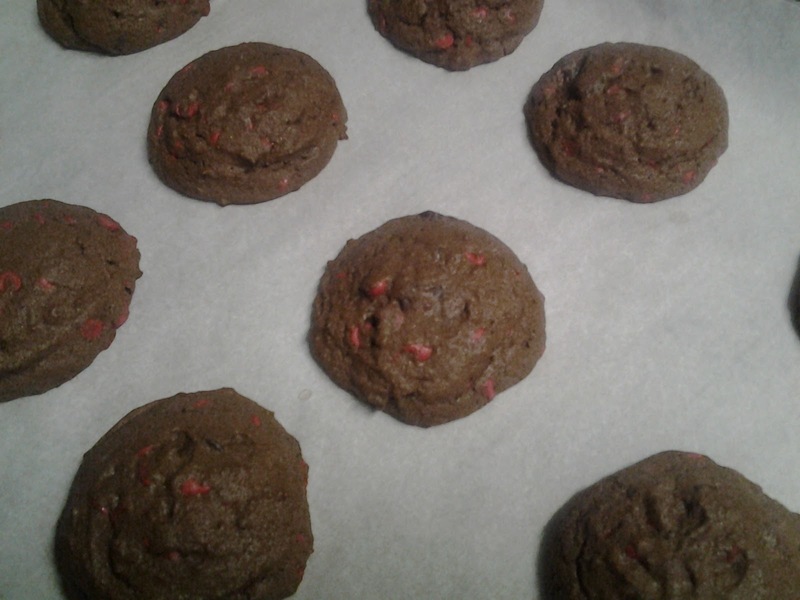 I added cherry and chocolate chips to mine, but you could use any flavor you would like. Cream butter, shortening, brown sugar, instant pudding, 2 eggs, and vanilla. Add remaining ingredients. Drop round teaspoonful's onto greased cookie sheet. (I used parchment paper) about 1 inch apart. Bake at 350 degrees for about 8 minutes or until done. Don't forget that I are sharing link party with Small Fine Print. Thanks for the invite. I enjoyed pouring through the posts from 'Show Your Stuff' today.